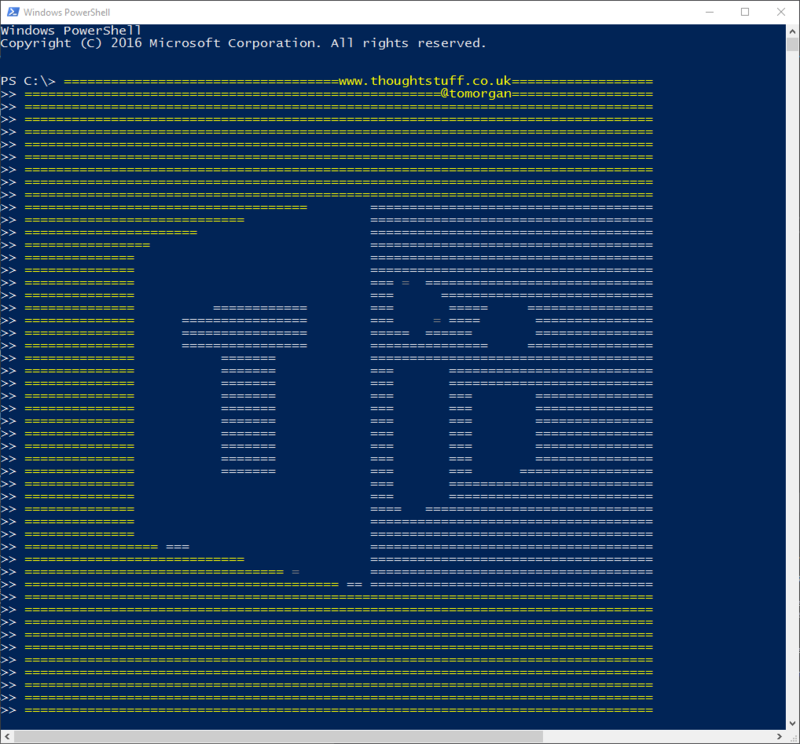 Brush off your PowerShell skills! You’ll soon be able to manage Microsoft Teams in code! A new work item has been added to the Office 365 Roadmap with the description “Ability to configure and manage Microsoft Teams via PowerShell”. It’s currently showing as being in development and testing. In addition, there is a UserVoice entry for creating and modifying teams via PowerShell which was recently updated to “Working on it” status. There’s no word yet on when these new PowerShell commands will be made available. However, we’ve seen already that the Teams team are iterating quickly on new features and being very agile in the way that they release stuff. Sometimes this leads to features not always hitting their intended target dates (such as external access) so I think it’s unlikely that a hard date will ever be given for this feature – but I don’t expect we’ll be waiting months and months for it. There are few other things you might be able to do via PowerShell as well as creating and configuring teams. Also recently updated to ‘Working on it’ status are requests to be able to provision teams to existing Office 365 Groups, and possibly something to do with mass management of users and groups. This is going to be really useful for admins who need to keep on top of teams and channels and regularly prune out any which have stopped being used. I expect that it’ll also open up some interesting development opportunities as well – such as the ability to dynamically create teams in response to events. Once we know more I’ll be blogging about what’s possible as it comes. In short, new features are being added to Teams all the time, and actively being developed. It’s great to see Microsoft engage so much with the community via both the Office 365 Roadmap and also UserVoice and iterating on that feedback.